Home Blog BCAAs vs. Protein: What’s the Difference? BCAAs vs. Protein: What’s the Difference? What are the differences between amino acids and protein powders? Why are branched-chain amino acids (BCAAs) crucial for muscle building? If you take a protein, do you still need BCAAs? We sat James Grage down to answer all our questions about BCAAs vs. protein. Here is his no-nonsense breakdown of the differences and when to use each. What Are BCAAs Best For? BCAAs go to work faster than protein does, even though protein also provides BCAAs. When your glycogen stores run low, your body relies on the three BCAAs, leucine, isoleucine, and valine, for fuel. Quality protein works in the body to build muscle, support strength and contribute to overall health and well-being. The protein you get from a protein powder contains the BCAAs your body needs, but they have to be broken down and processed through the liver. Free form BCAAs, on the other hand, can be used by your body almost immediately. What is Protein Best For? If Protein Has BCAAs, Why Take Both? When Should I Take BCAAs vs. Protein? According to James, BCAAs can be taken before, during and after your workout. A whey hydrolysate-rich protein powder can be used as a meal replacement or taken right after your workout. Which Wins in the Head-to-Head Battle of BCAAs vs. Protein? 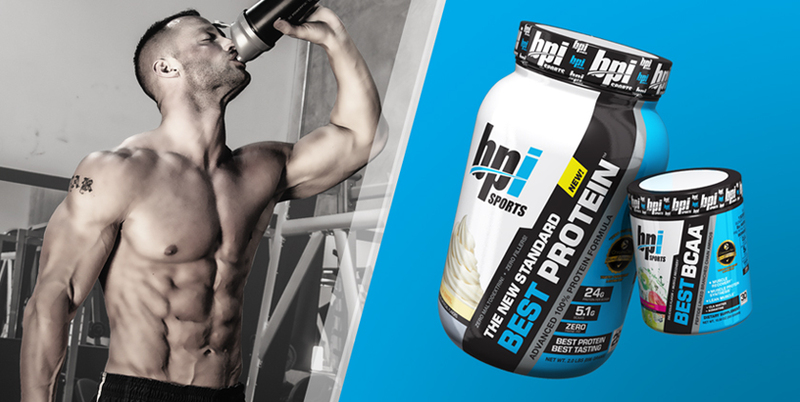 According to James, in the battle of BCAAs vs. protein, the winner is… both! BCAAs and protein are equally essential in his daily nutrition and supplement regimen. He chooses a peptide-linked BCAA supplement because peptides are better absorbed and utilized than free form amino acids. With a focus on easy absorption and digestion, James also uses a protein powder with a high amount of whey hydrolysates. Before his workout, James takes his BCAAs, and for recovery, he makes a shake with a whey hydrolysate-rich protein powder to drink immediately afterwards. It’s a complete approach to building a healthy and powerful physique. For more information on supplementation, check out Which Supplements Should I Take and When?